You'll find a diverse selection of alpacas combined with the knowledgeable support and commitment of experienced breeders working with you. We offer creative packages designed to fit individual needs and we continue tomaintain the small-farm attention to all our alpacas. You are invited to visit us - we may even put you to work! We welcome visitors to enjoy our farm life! We invite you to take a few minutes to view our website. Contact us if we can be of service to you or if you have any questions. 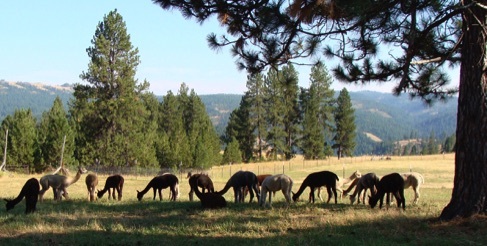 Full-service alpaca ranch with knowledge in all aspects of alpaca ownership. Experience of starting over 40 alpaca farms.